Nicolien Sauerbreij won during the Olympics Games 2010 in Vancouver a gold medal for snowboarding and she wanted this gold always to be with her. According to Nicolien is such a medal just a cold thing. One day Nicolien woke up and she knew what she wanted to do with it: making a ring of it. 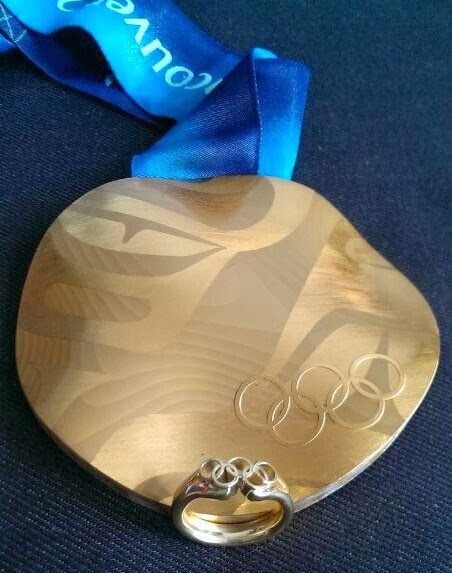 She created a jewel by taking only half a millimeter of her gold medal, it was enough to keep the medal intact and still make something special. Wishing Nicolien another Olympic victory in Sochi!